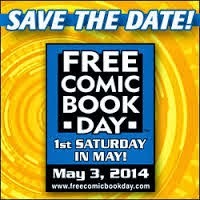 In case for some reason you forgot/didn't know, the ever-snazzy Free Comic Book Day (FCBD) is tomorrow. There are bound to be some great free comics and less than enjoyable ones, but overall it is always fun to go down to the comic shop and pick up some free stuff--and perhaps buy something too as often stores have good sales. Should you want a list of what titles will be available tomorrow, check out this website. Please note that each store decides what they order, so some titles may not be at your local comic shop if the store didn't want them/think people would take them. Also, remember that stores have to pay for these comics even if you don't, so always express appreciation to a shop for participating in FCBD and maybe buy something too. Have fun tomorrow, ya hear? A Defense of "Age of Ultron"